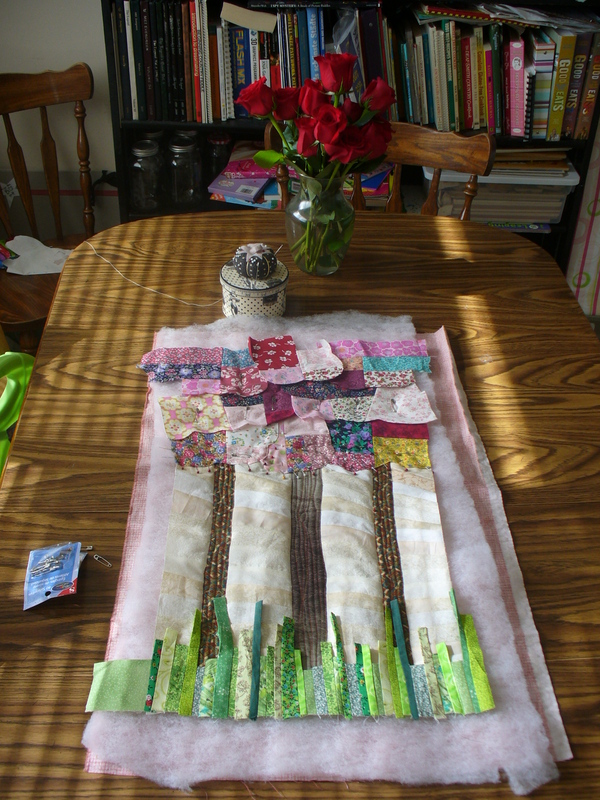 That is my dining room table this morning (it doubles as my sewing space). 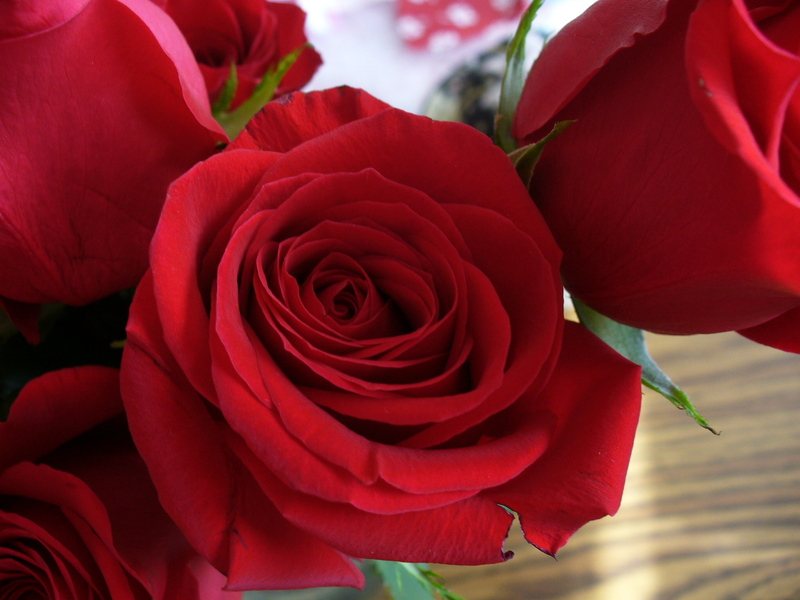 Those roses? My husband bought them for me yesterday, it was our anniversary! We've been married for 8 years. I said at some point last night "and here's to 8 more", to which he said "Only 8? How about 70?" Since we are both currently 30, that would take us to 100 - I like that plan! These 8 years have been filled with amazing (3 daughters, lots of laughs) and some hardships (my father's death, Mark getting and still dealing with pneumonia), but I am still so happy they have happened. Also on my table is my current WIP. Here I was all set (for the first time) to link up for WIP Wednesday at Freshly Pieced, and she's not doing it this week! Oh well, I'm still going to post this. About a month an a half ago, I had an idea. 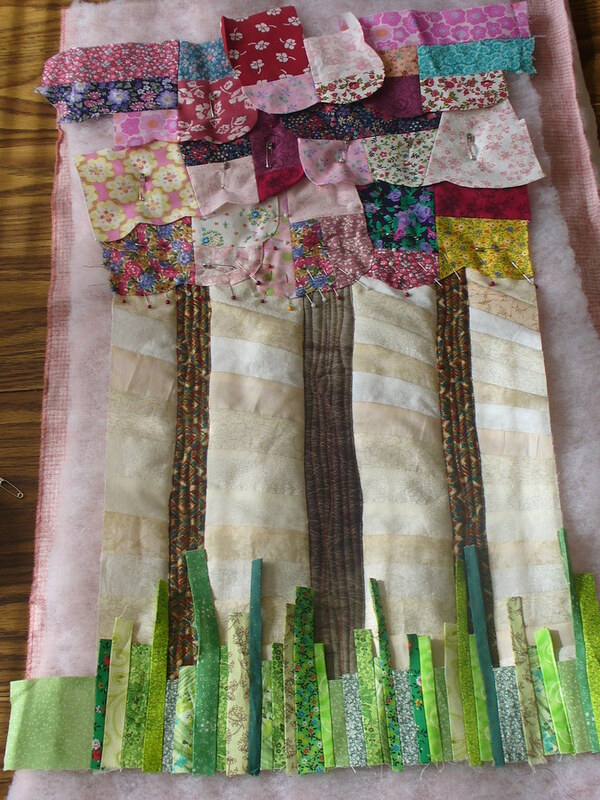 All the fruit trees around here were in bloom, and I wanted to capture that, but also use up some of the scraps/squares I inherited from my Grandma when she passed away 5 years ago. The concept for what it should look like popped into my head almost fully formed, and I just ran with it. It is taking a lot longer than I had hoped, because apparently I am very bad at finding/making time for sewing. There's all the house work, my 3 girls, playing video games with my husband, reading, etc; together it leaves little time for sewing. I am steadily plugging away at it though, and hope to finish it soon! But now the sun is shining, my girls are calling, and so are the dishes. Have a great Wednesday everyone!